Is Full screen better than windowed mode when browsing the web? Well, it really depends on you. You may find yourself much more enjoyable to view a website in Full screen mode rather than being restricted by toolbars and your Windows 8/7/8.1 taskbar especially if you are on entertainment and media websites such as Facebook, apps and games. 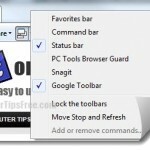 In this post, we will show you the Internet Explorer Full screen mode shortcut hotkey to turn on/off, disable auto-hide, make it no toolbar and how to set IE 11/10/9/8 to always run in Full screen mode. 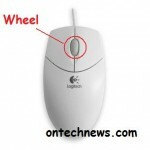 To view Internet Explorer 11/10/9/8 in Full Screen Mode, simply press the F11 key (shortcut hotkey) on your keyboard to toggle the Full screen mode. 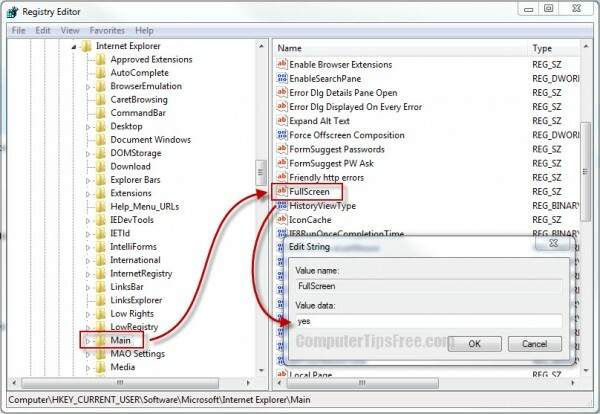 If you prefer to always open IE in Full screen mode rather than having to press F11 every time you launch IE, there is a method to set IE 11, 10, 9 or 8 to open as Full screen mode immediately upon launching. This method, however, involves advanced editing in your Windows registry and is only recommended for pro/advanced computer users. Please proceed at your own risk. Open RegEdit by going to the Start Menu, type regedit in the search box and then hit Enter. Locate the value Fullscreen from the Main key. Double-click Fullscreen, enter Yes into the value data field, and then hit OK. The next time you open IE 9, it will run in full screen mode automatically. To revert the change, set the value data back to no. There are two benefits of running browsers in full screen mode. The very first reason being it eliminates the need of extra components to be shown such as toolbars, menu bar and address bar which usually use up almost half of your screen (if you happen to have a lot of fancy toolbars). Make use of your screen size, save time and hassle from being wasted by having to scroll webpages up and down just because only half of your screen is view-able. If you came to this page because you have problem that your Internet Explorer has been running as full screen mode every time you open it, you can also use the above method to revert it back to the default non-full screen mode. Well, if it’s not working and continues to happen even after you changed the setting, your browser (or entire computer) has been infected by either an adware or a virus which injects or alters the setting each time you run your browser. This usually happen if you have malicious toolbar or software installed. 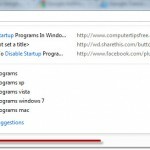 Remove whatever you think that is a possible threat to your computer, or use an antivirus program to scan for viruses and eliminate them automatically.